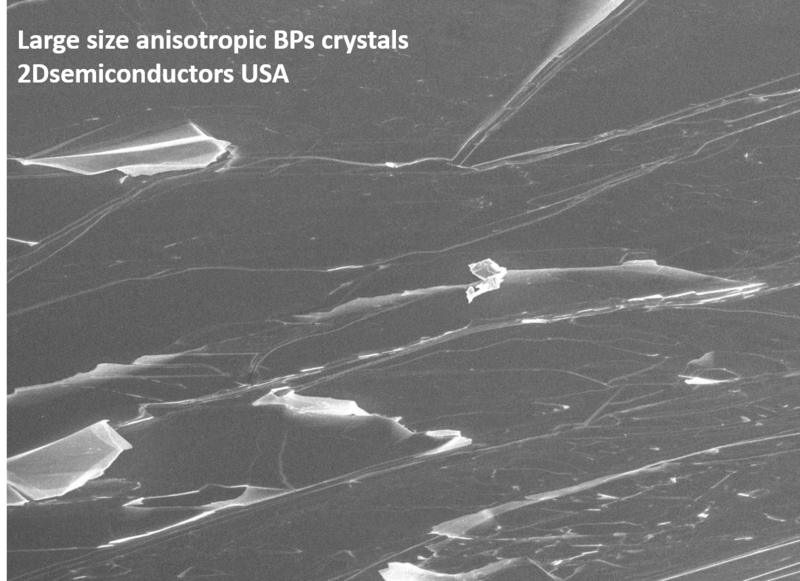 We offer most economic, massive size (1.0 gram), and highly crystalline scientific grade black phosphorus (BPs) crystals. 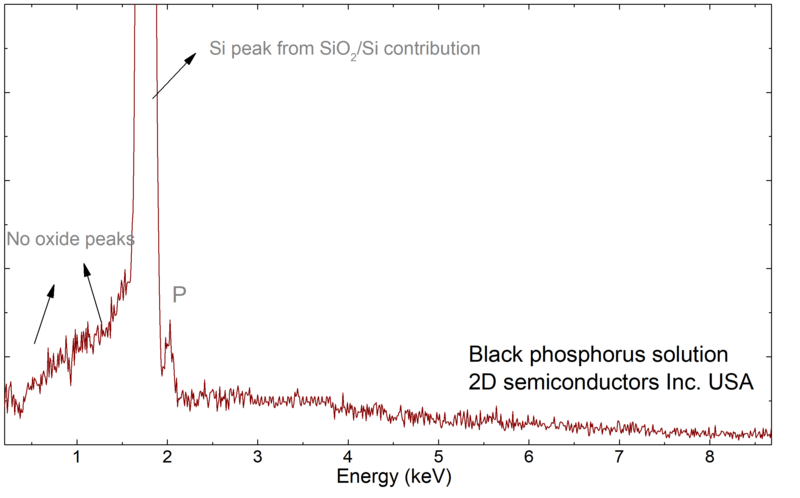 Black phosphorus is an infrared (IR) semiconductor with a band gap of 0.3 eV in bulk which becomes ~1 eV when isolated down to monolayer (phosphorene). 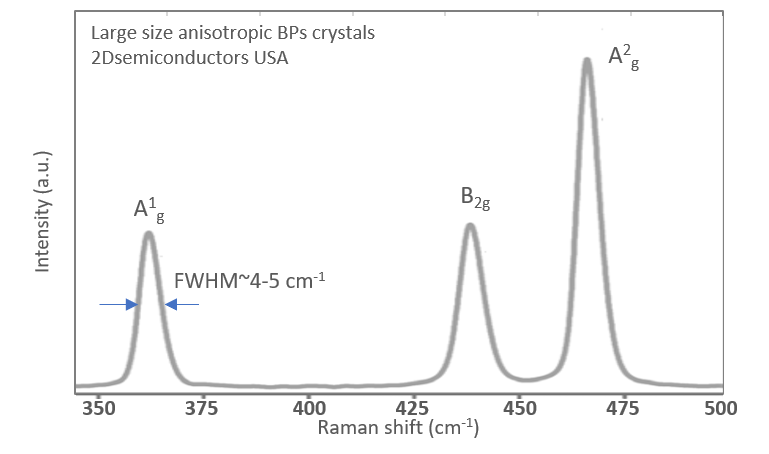 Our crystals are grown using special techniques (see below) in order to attain high crystalline anisotropy, minimal crystal defect density in the range of a record 3E9 - 1E10 cm-2 values, and high electronic / optical anisotropy. Thus, our crystals come ready for exfoliation with guaranteed crystalline, optical, and electronic anisotropy. 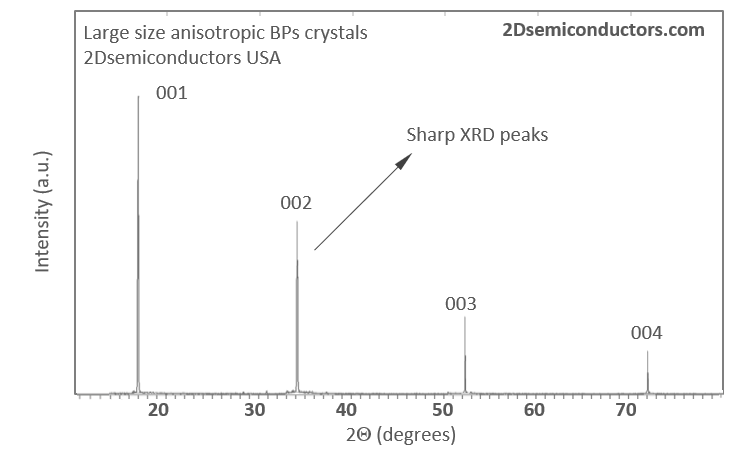 Crystals are packaged under argon and is tightly seal to retain intrinsic properties of BPs crystals. 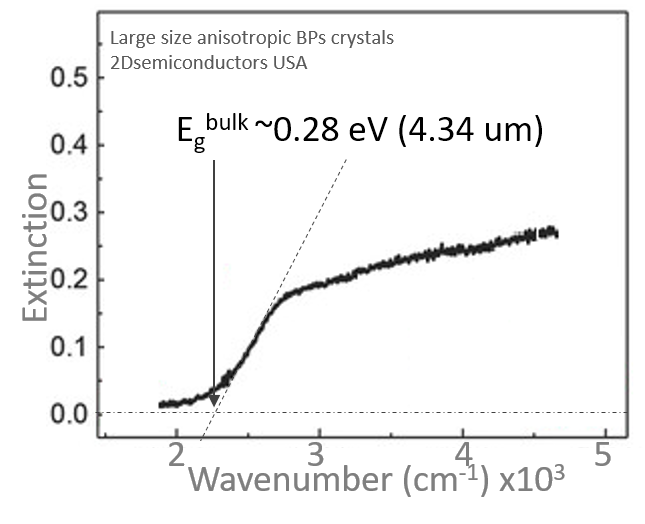 Growth technique matters: Conventional BPs growth typically involves chemical assisting agents such as Au, Sn, SnI4, and others to synthesize BPs crystals at low temperatures and low pressures. 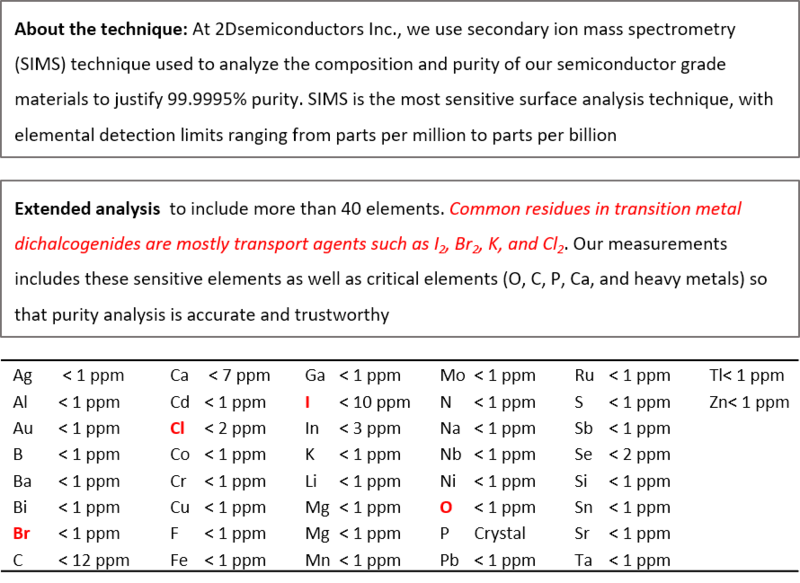 This process creates highly defected, low electronic mobility, and crystalline anisotropy crystals. Our company is dedicated to bringing electronic, optical, and scientific grade crystals. We synthesize our crystals at pressures as high as 2GPa to stabilize black phosphorus crystals without using any chemical assists (transport agents). Crystallization occurs over two (2) months period to ensure growth is slow enough to create defect free crystals. Yet, we still bring large quantities of BPs crystals at affordable rates. Note one order may contain more than one single crystal.